This idea isn't as stupid as it seems. Not all of us can afford a 2000 dollar camera. 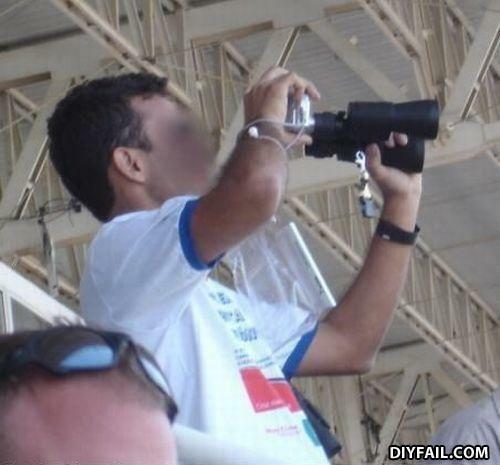 Cheaper cameras usually have about 3-10x optical zooms... This guy is rather creative than stupid. Yes, he probably won't get a crystal clear HD photo, but it's still better than nothing. what... THE GUYS A GENIUS! optical zoom - who needs it?